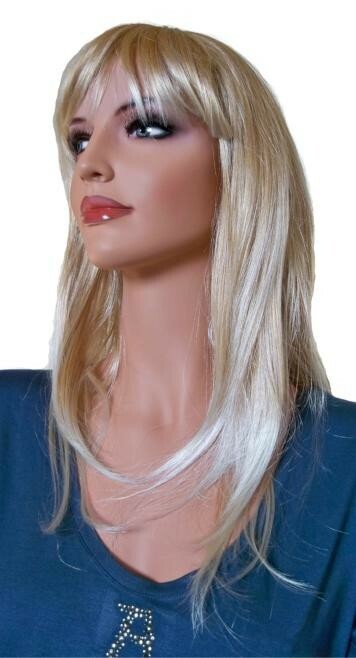 On offer is a professionally manufactured wig made from artificial hair. The artifical hair is produced out of a synthetic fibre which is attached to lacing. 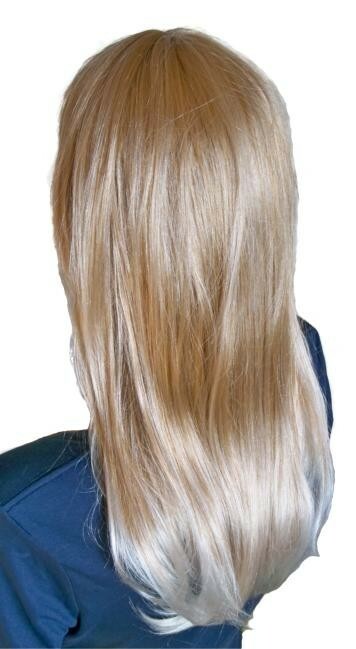 Due to this form of attachment the hair of the wig is relatively easy to dress and comfortable to wear. Also, the look and feel of the synthetic hair is very close to that of human hair. The parting area of the wig is arranged in a way that it blends in well with the scalp. To make the wig adjustable to a wide range of head circumferences, an adjustable locking mechanism has been incorporated into the wig, ensuring an optimal fit of the wig. The maximum head circumference supported is around 60 cm. To ensure the longevity of the wigs, please follow the care instructions you will find attached to the product.. Please also note that the colors of the product might differ slightly from what you see on your computer display because of divergent color matching. Our wigs can be shipped worldwide, packaged in a neutral and discreet way.